Dan Richards teams up with celebrated artist, Jeff Newman, to share a funny and vibrant picture book about how powerful a child’s imagination can be…with a little encouragement. At first, his mother is too busy to answer. But when she takes the time to play the game with her son…magic happens. "One of the firstbooks to so accurately portray what parental cellphone use may look like to achild and how it can affect parent/child relationships. A sweet story about connectedness and a willingness to believe in these modern times." "Writing entirely in dialogue, Richards...suggests that a quiet, everyday magic is all around, just waiting for us to notice." "This book is a delight on so many levels....The illustrations are beautiful and seem almost to spring from the page....This is an easy and fun read-aloud that serves to teach many lessons about paying attention and letting our imagination take us where it will. VERDICT A timeless book with a contemporary feel that will satisfy readers and listeners." "Hold the phone for this one.... Its hint of magic—floating elephants and flying gorillas—makes it a treat for readers. Best of all is the magic between mother and child, who are present for one another." 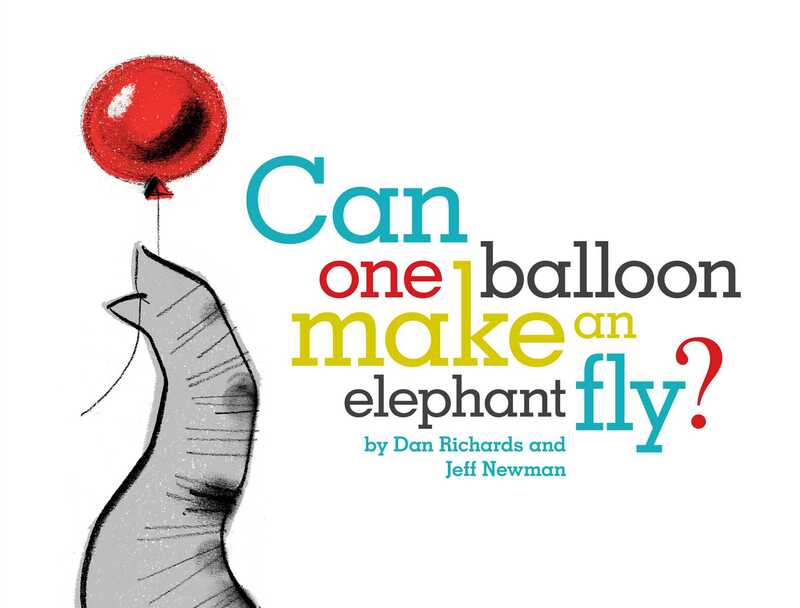 "lovely story about a mom and a son"
Book Cover Image (jpg): Can One Balloon Make an Elephant Fly?